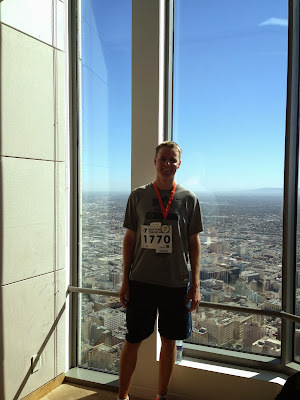 On Friday September 27th 2013 I ran up the stairs of the US Bank tower in Los Angeles as part of the YMCA fundraiser. 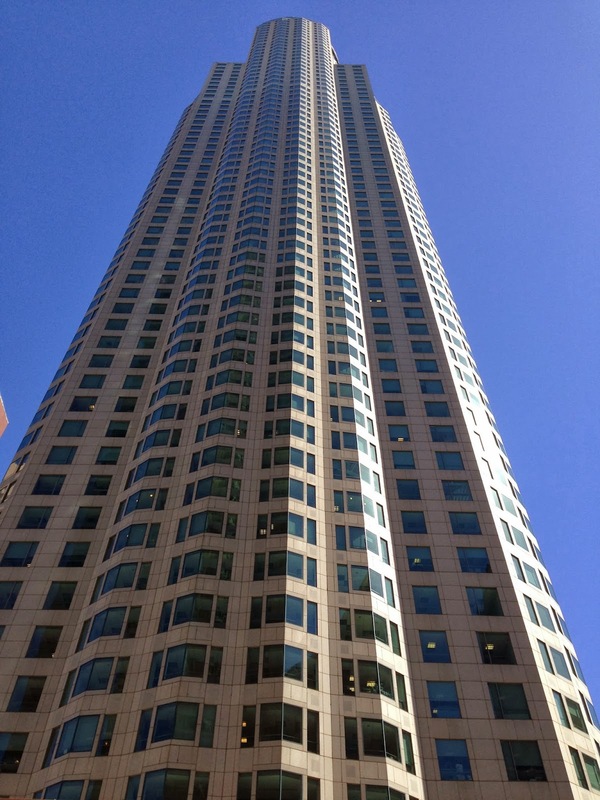 This building is currently the tallest building in California and west of the Mississippi. I had registered for this race 4 months earlier and since that time had quit my job of 8 years and taken a job with a new company. This meant 11 days of training that ended that same Friday in North Carolina. I didn't think it was going to work out until two weeks before when I found a flight that got me into LA in time. This race has so many participants, it truly is impressive. They raise around $625,000 from this one event. The first hour is the "Elite" stair climbers. They are the fastest of the fast and travel to these big races from all over the country. There is a world ranking system on www.towerrunning.com based off of their performance at different events. I joined their facebook group and have been learning more and following them each week. There are so many great tips about how to use the rail effectively and different workouts you can do. What I consider the face of the stair racing community is PJ Glassey. He lives in Seattle and runs a gym called XGym and trains people for these events. 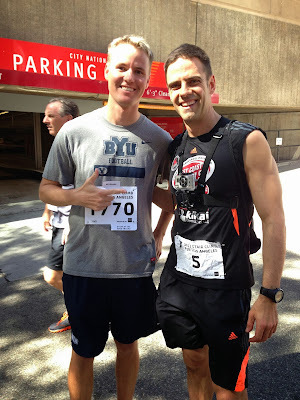 I was able to run into him before my race and spoke with him for a while. To the race....I started around 2:30 pm and it was exciting. I did not run for the first race ever. I skipped steps and used the rail efficiently. I limited the number of steps I did when turning from one set of stairs to the other. It was a nice steady pace that kept me stronger through the race. 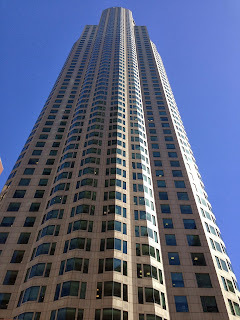 I passed around 30 people on my way up and was passed by two people. 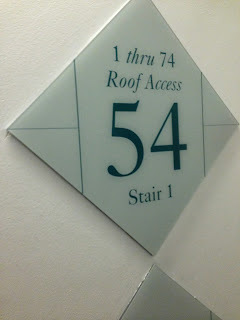 I paused on the 54th floor to catch my breath and drink a little water but then continued on to the top. I finished in 19:05. That means I took 895 place overall out of 2982 people and 152 out of 314 in males 30-39 years old. The winner of the race finished in 9:27. I have been terrible at training the past 3 months so obviously that factors into it. Once I finished I exited onto the roof of the building to obviously great views. 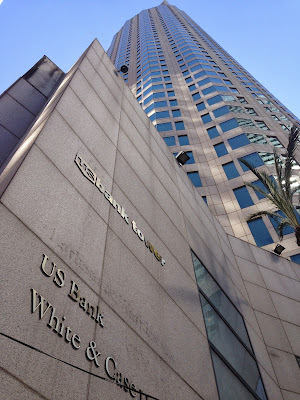 After I caught my breath I descended 4 floors to a large meeting room with fruit and drinks. The trickiest part was figuring out the elevator system on the way down. There were three different elevators to go down and I was pretty lost. Mission accomplished. 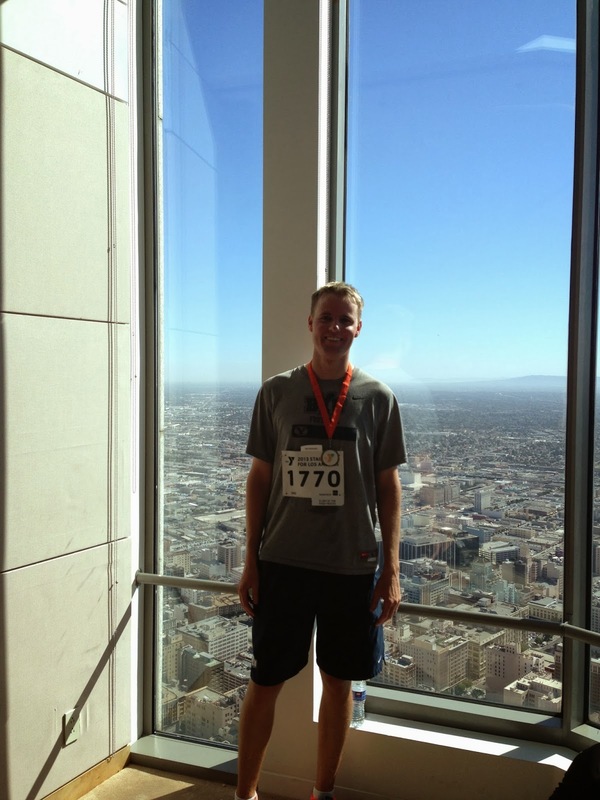 I have now ran up the tallest building in 6 states. 44 more to go.